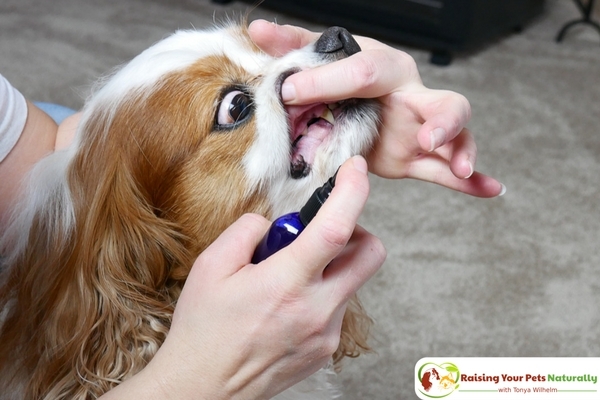 Do you clean your dog’s teeth daily? Tell me in the comments. This is a great product! We usually just buy our dog those toothbrush/chewables but they don’t always work. I think a spray would work so well. Thanks, Joline. I would really take a peek at the ingredient panel of the chewables. To date, I have not seen one with healthy ingredients, not to mention they add calories. just remember to see if any medications your dog is on! Several cyclosporins and azathiroprine warnings state do not use grapefruit seed extract with medications. always ask your vet if your pet is on medications! Absolutely. Anytime a pet is on medications, a vet call is in order prior to supplements or such. Good reminder. I do not clean my dog’s teeth daily. I generally give him some special chews and they have always seemed to manage things pretty well according to the vet. I hadn’t heard of a spray before. Glad his teeth are nice. I would recommend checking your chew ingredients and where the item was sourced from. You wouldn’t want to cause a different issue such as choking. I will ask my vet if I can use this on my dog. 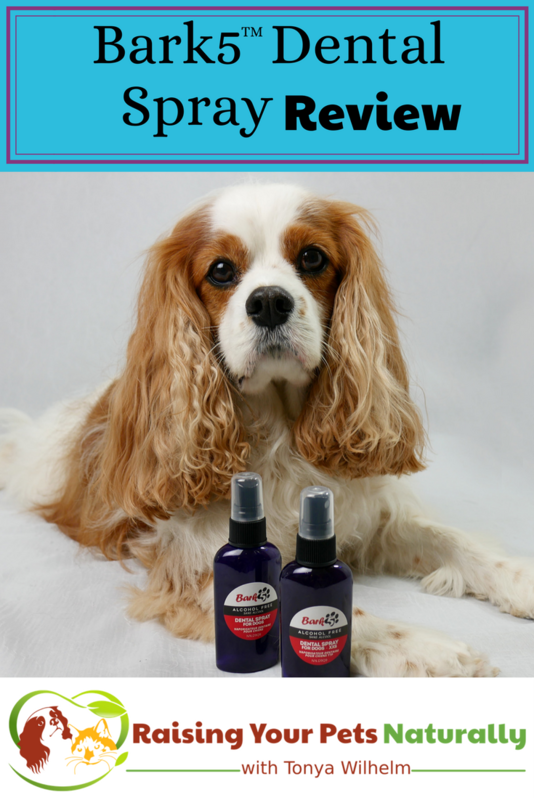 My fur baby does not like things out of the ordinary and this spray might freak him out, although I love the fact that it will help reduce tartar build up. It’s always a good idea to go slow when introducing your dog to something. If he gets stressed easily, I would suggest putting it on a bowl to lick or your fingers. Thanks for sharing with your doggie friends. Oral and dental hygiene is as important to humans as it is to dogs too. I am glad that this Bark5 is alcohol free. I will get some and try using it on my fur baby. It is better to keep his teeth and mouth healthy to prevent other complications later. Yes, oral care is essential for a healthy body. I hope your dog enjoys his pearly whites. 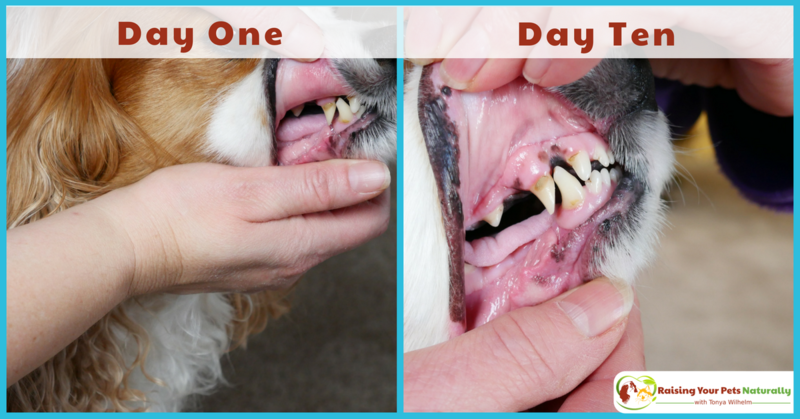 Just like people, having dental problems in dogs can lead to such uncomfort and so many other issues. This sounds like a great addition to a regular routine. Thanks, Heather. Yes, we all need good dental care. Okay, I’m a bad dog-parent. I have never given a thought to my dog’s teeth. She probably would benefit from this spray. Thanks for making me aware. Great tip on taking care of dogs’ health, I have no pets but I do know that all living things need to be happy and healthy and that comes to dental care too. I’ve never heard of this before. It’s a pain trying to brush our dogs teeth, I’ll have to look into getting this. Bark5 makes dental care really easy! My previous dog had terrible teeth when we got her and we tried different ways of cleaning. In the end she had to get them all removed, poor girl. She is still living though and is a tough little gal at age 14! We’ll incorporate a more rigorous dental hygiene regime with our next dog, including sprays! Its strange because we don’t think about dogs dental hygiene all too often but with things like Periodontal disease you definitely need to have a good dental system in place. 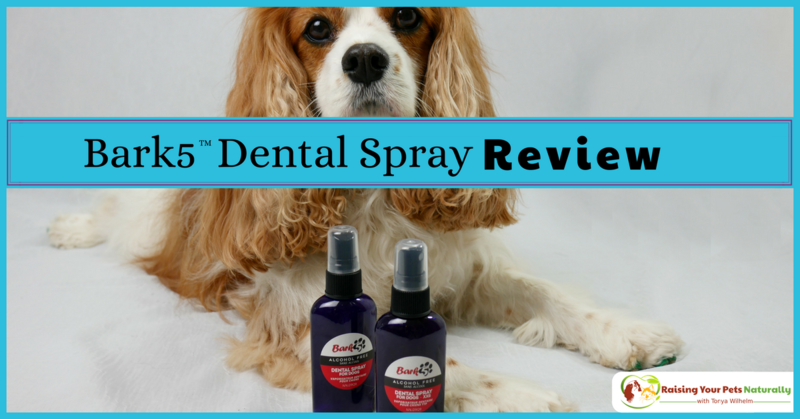 The dental spray sounds ideal for dogs! This is great! We have a 6 month old Whoodle and it is hard to distinguish truly natural products and which ones really work. This is good to keep in mind. I only have cats, so I’ll have to see if the dental spray works on them. I know they need help with their teeth too. 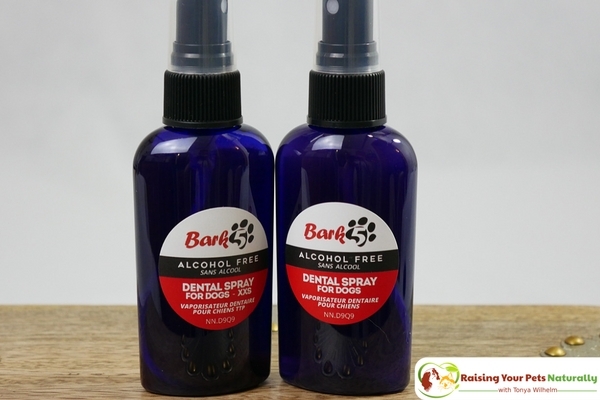 Thanks, Kitty for sharing Bark5’s natural dog dental spray! I love getting the word about great brands and natural products. Oh this sounds awesome! My dog has really smelly breath and makes it impossible for me to brush his teeth so I need to try this. Yes, please give Bark5 a try and don’t forget about the discount code below. Double check those teeth to make sure there isn’t disease the vet needs to address first. My puppy would really like this product! I wish we have this in the Philippines. Sorry, Emmanuel. Maybe you have a natural pet store that carries a similar product. Sounds like a good way to get those choppers cleaned up. Seems to be a common problem with dogs (because so many of them have ‘dog breath.’ I bet the plaque elimination helps a lot! I am going to try this product! I have a 12 year old long haired dachshund with terrible breath, that began about 3 years ago. He’s always been the center of attention, but now my family and friends dont like to play with him as much due to his breath. We take him for a vet dental cleaning every 6 months, but it only takes care of the problem temporarily. Blood work has not revealed a cause, but we suspect it comes from him “cheeking” his food as opposed to swallowing it. I try to brush his teeth, but he doesnt like it. I think this product might be more helpful. Thanks!!! Dental hygiene is just as important for animals as people. this seems like the perfect product for our furry little members of the family. Thanks, Lavanda. Bark5 really is an amazing product and so easy to use. Sometimes it’s tough to get your pup to sit still during a brushing — I can’t imagine what pet groomers do to successfully clean pups. Their dental health is essential for them. It can be for some dogs, one of the reasons I try to promote early and frequent positive handling. A lot of times dogs at a groomer have a leash attached to a table arm to help them stay in position. I will pass this along to my fellow dog owners! Ours, unfortunately, died and we haven’t gotten a new one yet. But, I know lots of dog owners who would love to hear about this. Thanks for sharing! Brianne, I am so sorry for your loss. Losing a pet can be so hard. <3 Thank you for sharing. Wow! You can see the difference! I don’t have a dog, so I never think of all the things you need to do with them. Thanks, Cathleen~! We are very happy to be seeing a difference so soon, and they are still getting brighter each day. The way we live affects our pets too I suppose. Some decades ago no one would have thought of doing such a detailed cleaning on a dog right? Yes. Glad we are becoming more knowledgeable about our pet’s care. This is a lot of new and interesting information. I am a cat person, however my parents own four dogs! I bet they would love to learn more about this! This dog dental spray sounds great! Will have to try it for my boy.